I have a problem. I ride SS with an older Habanero titanium hardtail frame. My rear wheel is with a White Industries ENO Eccentric hub. 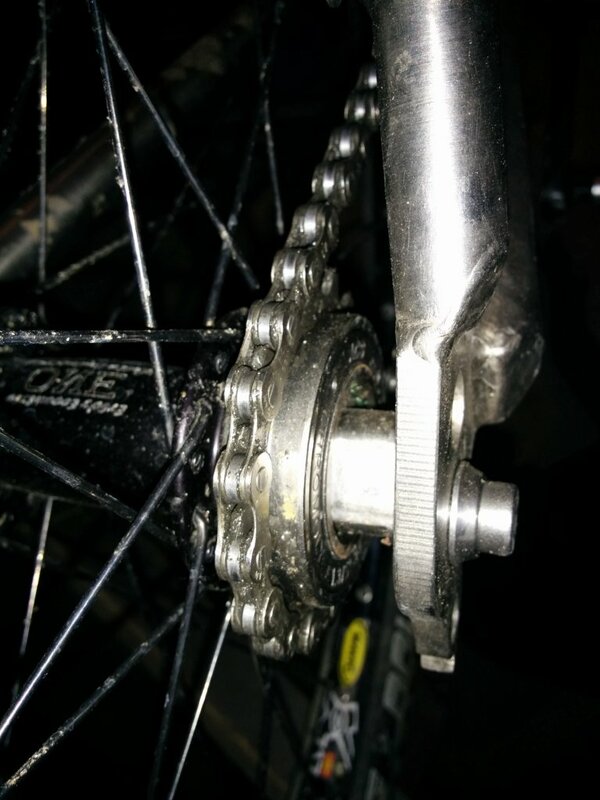 I tried two different chain tensioners in the past but I couldnt get it to work (sort of same issue). My problem is that my wheel(s) WILL NOT stay straight in the frame. I can install them right but whenever I hit a hill and stand up in my pedals the wheel will shift/slip a little bit and the tire will start rubbing on the left chainstay and rim-brake. So the drive side of the wheel is getting pulled forward a smidgen but enough to make the bike pretty much un-rideable. I tried with a lock washer between the frame and the hub but it didn't help. The problem seems to be that the titanium is too strong and is not letting the hub "bite" into the material. Any suggestions are more than welcome! I'm about to throw in the towel and make this bike into a 1x9. God forbid!! Last edited by matw; 04-22-2015 at 08:51 PM. What kind of skewer are you using? How old are they? Might want to start by simply trying a new XT QR skewer. Hi. The does not have a skewer. The whole thing is eccentric and swivels. Look up a picture of it and you'll see. It has two separate bolts on each side of the hub. Ah, never used one of those things. Does it slip in the drop out, or does the eccentric rotate? It's hard to tell but I think it is the wheel itself since it ends up askew in the frame and start rubbing on the chainstay. Do you have the white industries washers in place that sort of "fill" the dropout? I have had issues with slipping in an aluminum frame but this was losing eccentric position, the axle always stayed straight. If you have the washers in place it almost sounds like your dropouts are a bit wider than normal. Can you take some pictures? Yep, I have the washers in. Will take some pics when I get home from work tonight. When you loosen the bolts afterwards, does the axles settle back into the dropouts? I use two of these on a ti road bike and on a DB axis ti frame, never had it shift to one side, had it loosen on me so the wheel rotated forward. Figured out the eccentric was in a position where it wanted to rotate loose. I changed the position so the chain torques the eccentric to tighten the chain. After further examination I think that it might be the bolts slipping in the drop outs and not the position of the eccentric. The way its setup doesnt really allow it to pull forward. See picture. I set the wheel straight and went for a quick rip up and down my driveway (on a pretty steep hill). See that the wheel shifted a little bit to the left. I hope you can see it in the pictures. Another issue I have is that I want set the eccentric in any position I want it. I ride with a rim brake and if the hub is in a too "low" position the brake pads will grab the tire instead of the rim. I dont seem to be able to upload the picture of the right side of the wheel/chainstay but just after a small ride the tire is noticeable closer to the left chainstay. So it shiftes, I think. A bit longer on the bike and the tire start rubbing on the frame. I dont know how to fix this..
Hmm, put the wheel in the "low" position and get a rear brake with slightly longer reach? It appears that your frame has vertical dropouts. With vertical dropouts it is not possible for the axle to slip forward on one side only. And with the Eccentric Eno hub, the eccentric hub ends are attached to the axle in a manner that does not allow them to rotate separately. The only way (that I can see) this shift you are getting would occur is if either 1) the axle was broken and the eccentric axle ends are rotating individually or 2) the small allen bolts inside the eccentric ends are missing. Remove the wheel and check the integrity of the axle ends and the axle. Ti can stretch a little. Measure the width of the dropout to make sure it is 10mm. Likewise, check the WI bolts for size where they sit in the dropouts. If everything measures up ok, re-grease the threads on the bolts, as well as the interface between the bolt heads and the WI washers. This will allow you to apply more torque to the bolts without damaging the threads. Use a longer allen key to tighten them. How much are you using currently? If you are not using a torque wrench, how long is the lever on the tool you are using? I dont have a torque wrench unfortunately. I can borrow one though. I/m using a 6" hex key and its as tight as I can get it. Should I try and find a longer hex key? Maybe, but initially, just try to find some small pipe or something you can use to lengthen the 6mm allen key you already have, but don't do that without greasing as per my instructions above. So you're gonna put a pipe on a hex wrench to tighten it down and not worry about the amount of torque? I can get a hold of a torque wrench next weekend. I'll probably just wait till then. I went out on a small ish (10km) technical singletrack yesterday and the wheel didn't shift so thats good news. I used lockwashers between the frame and the hub. It seems like it helped. 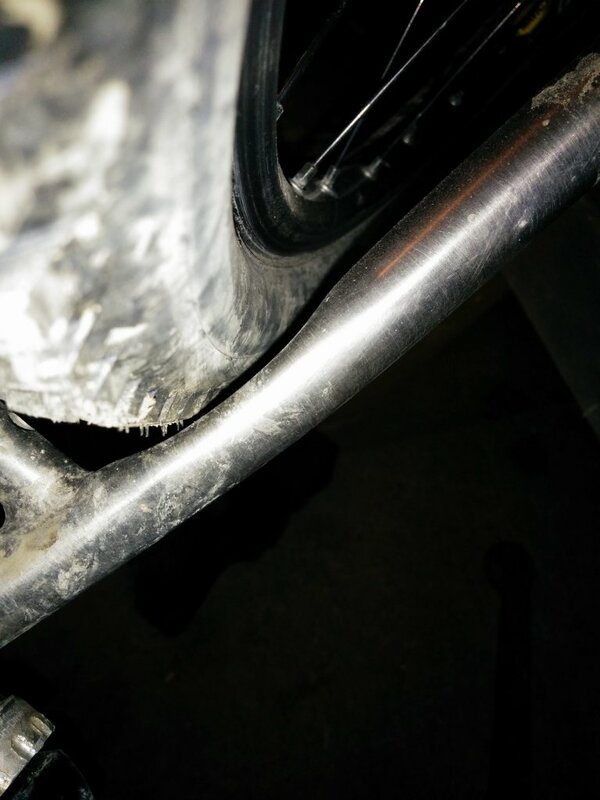 Rear wheel won't stay straight!